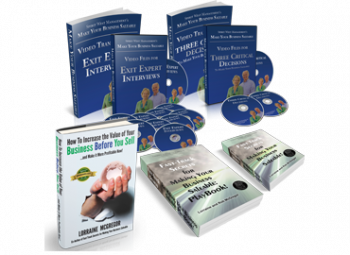 Lorraine McGregor, co-author of “Fast-Track Secrets for Making Your Business Saleable” will be speaking at the Abbotsford Executive Association on Thursday May 30th, 2013. 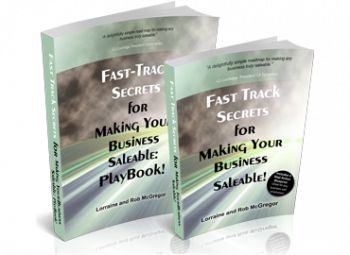 HOW TO INCREASE THE VALUE OF YOUR BUSINESS BEFORE YOU SELL… and Make it More Profitable Now! Learn about the myths, truths, secrets and tips about what it takes to attract a buyer and close the deal to sell your business. Owners need this knowledge long before your chosen exit date. 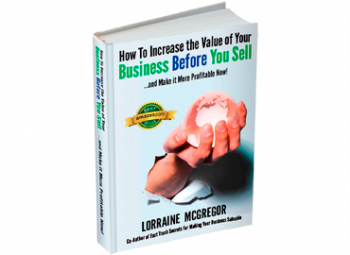 You want to know your company is the ripe fruit that buyers look for amongst the sour grapes of competing sellers.As a management consultant Lorraine McGregor has helped business owners become saleable and worth 2 or 3 times what they had hoped to sell for. She uses her proven 4 step program and has written three books for business owners and their advisors. An MBA, Lorraine speaks to business owner groups, wealth managers like RBC and business advisors across North America.